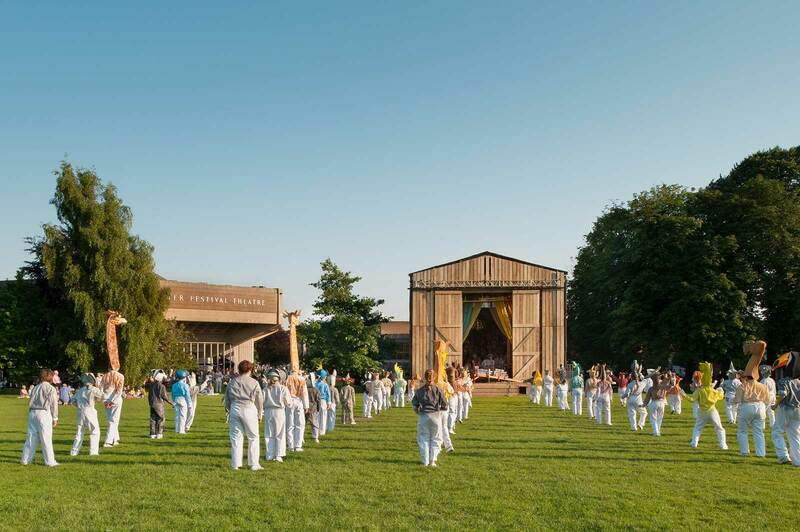 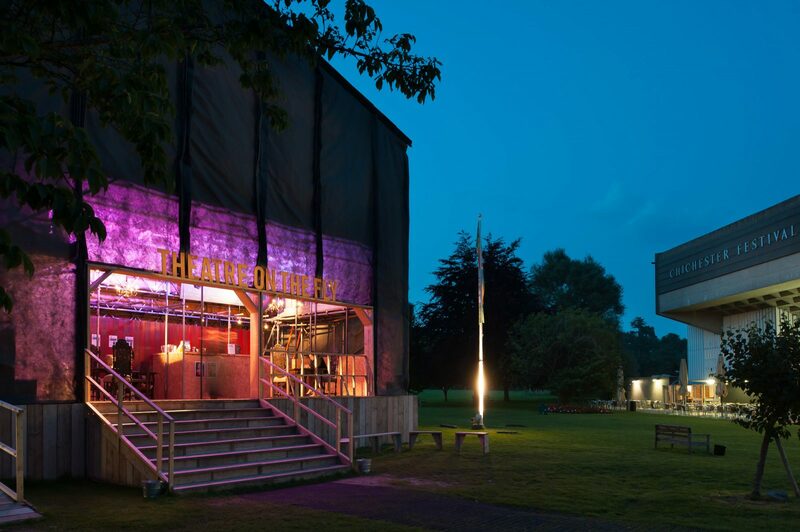 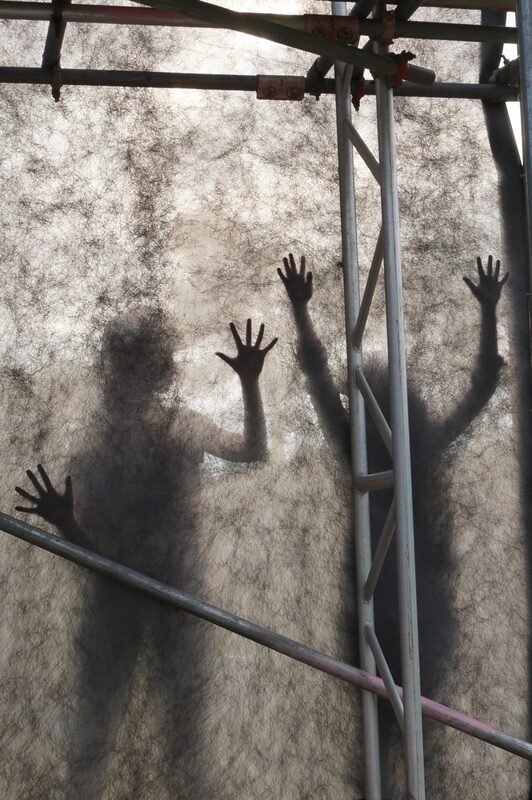 Theatre on the Fly was an experimental temporary venue for a season of new theatre built in the grounds of Powell & Moya’s Chichester Festival Theatre. 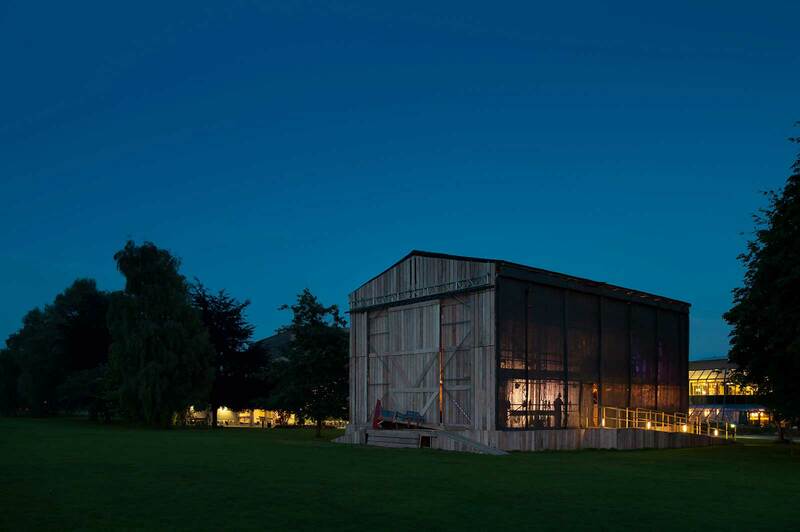 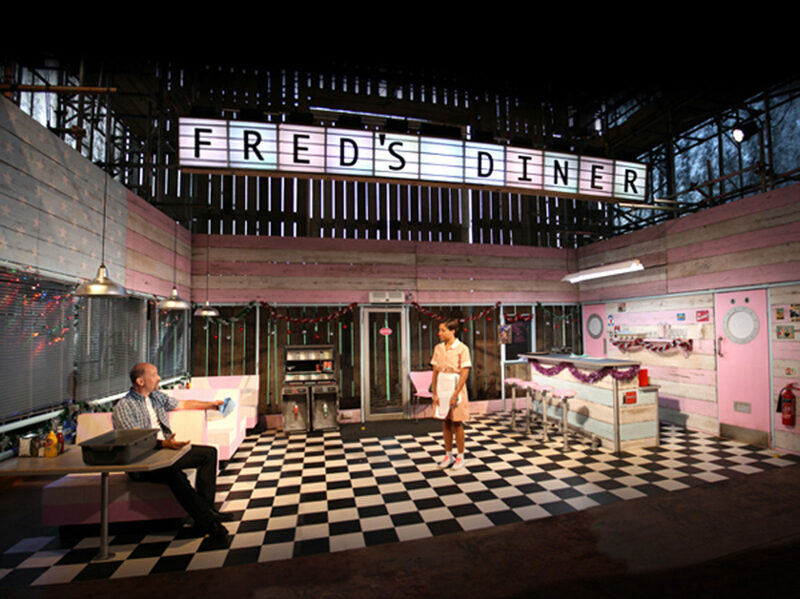 It was commissioned by the theatre as part of their 50th anniversary celebrations to house a nine-week long season, based around new plays by the theatre’s three apprentice directors. 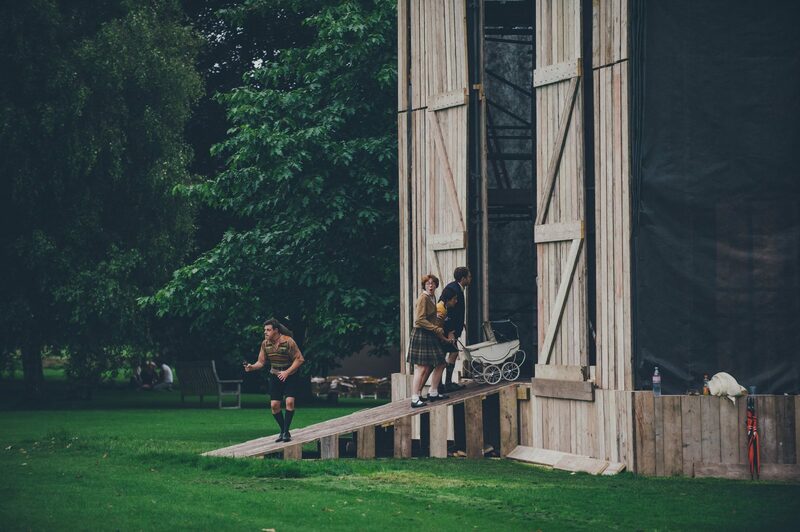 Neither quite an indoor nor an outdoor theatre, Theatre on the Fly provided a space capable of both intimate performances and wide dramatic productions that extended into the surrounding parkland. 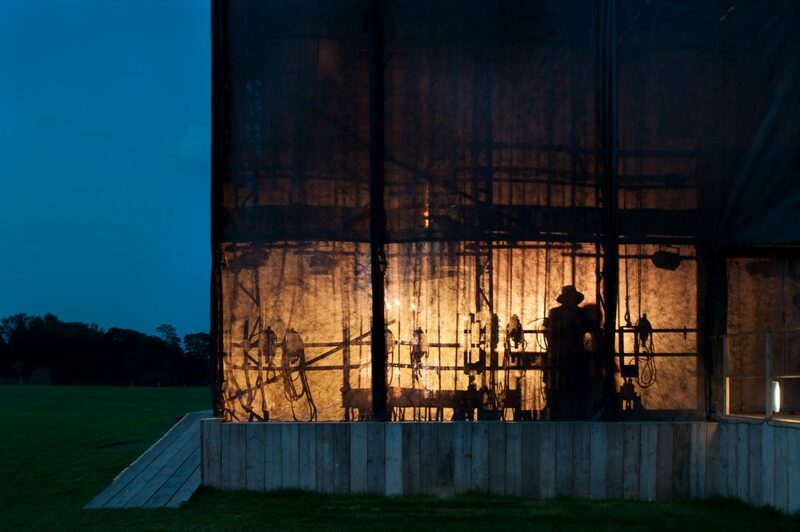 The design of the theatre was inspired by the machinery of the flytower: a theatrical device used for the hoisting and lowering of objects and scenery onto a theatre’s stage during a performance. 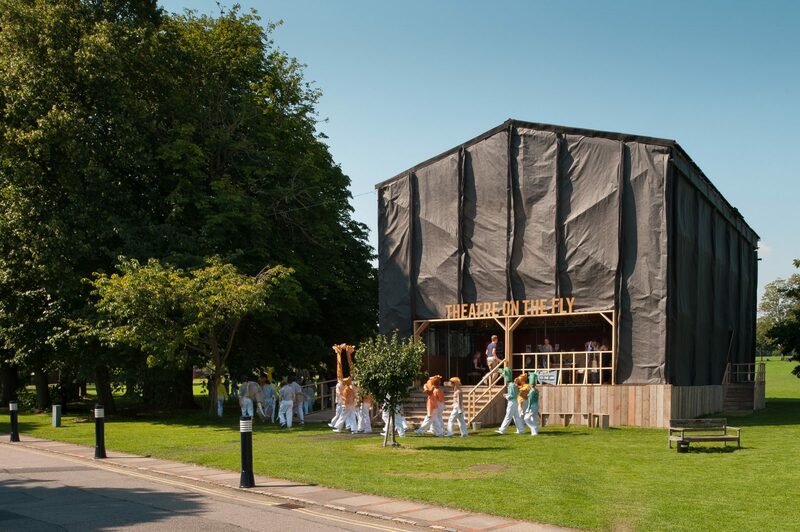 Theatre on the Fly exposed these intricate and dramatic mechanisms normally hidden from view, transforming the building into a theatrical spectacle that played an active role in each performance. 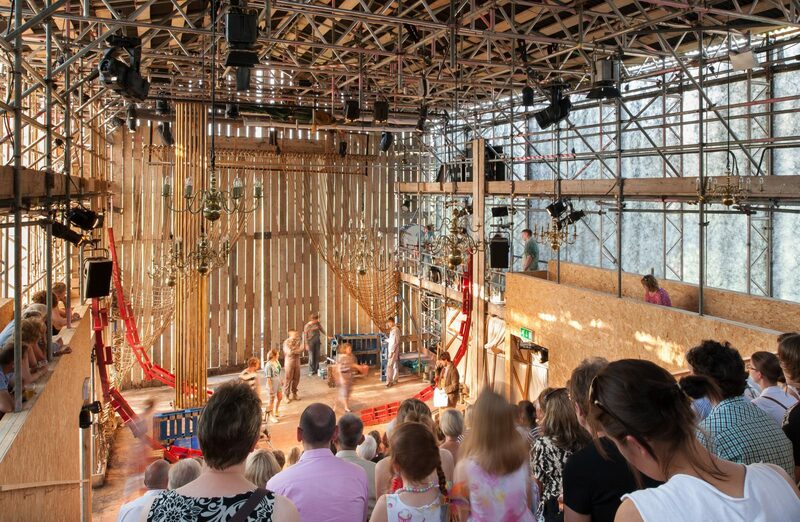 Built by a group of volunteers whose ages ranged from 16 to 68, the design used accessible processes and economic materials to maximise the involvement of the theatre’s many supporters and create an extraordinarily generous space within the tight constraints of the budget.